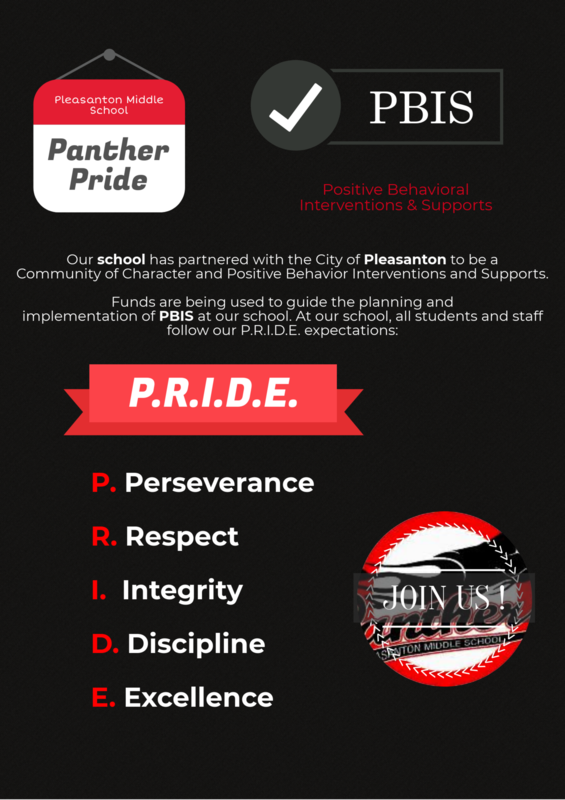 Our school district has partnered with the City of Pleasanton to be a Community of Character and Positive Behavior Interventions and Supports (PBIS). PBIS is based on principles of applied behavioral analysis and the prevention approach and values of positive behavior support. Administration utilizes a restorative Please see our school’s PBIS Pride Matrix on page 14. For additional information, please visit our district and school website.